A Palestinian teenager was shot dead by Israeli forces in the village of Beit Laqiya northwest of Ramallah on Thursday evening. 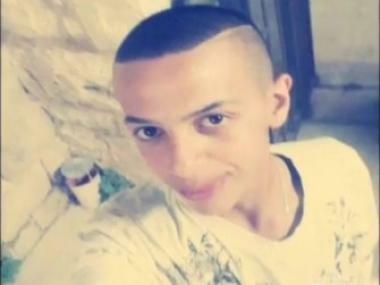 The Israeli Regional Court in occupied Jerusalem has decided to open its court sessions for the case of murdered Palestinian teen Mohammad Abu Khdeir to the public, but kept the gag order on the identity of underage Israelis involved in his brutal torture and murder. Israel initially only allowed the immediate family of Abu Khdeir to attend the deliberations, and kept sensitive details from reaching the public. The latest court session was held in August, while the family of Abu Khdeir said, then, that they do not trust Israel’s legal system, and threatened to seek justice in international courts to prosecute Israel for not punishing those responsible for the horrific crime. Family lawyer Mohannad Jabara said that the court session was technical and superficial, only concerned in the request of defendants' lawyers to release them until the end of deliberations. Jabara said the only adult, 29 years of age, who stands accused of this brutal murder agreed to stay imprisoned until a verdict is read, while the underage suspects are demanding to be released under a different deal, including house arrest. The court said it would look into the issue next week. The adult, Yousef Hayim Ben David, confessed to the abduction of Abu Khdeir, and to burning him to death after torturing him. Israeli investigators believe that Ben David, and two minors, carried out the abduction and murder, and that he drove Abu Khdeir to a forest, after abducting him in front of his home. He then struck him to the head using a wrench before continuously kicking him and, then, burning him using fuel that was also poured down his throat. Lawyers of Ben David are alleging that he has mental issues and, therefore, was not aware of what he was doing. However, the circumstances and evidence prove that he was fully aware of his actions, especially when taking into consideration all aspects of the crime, the abduction, the accomplices and the locations of both the abduction and murder. The crime led to extensive protests in different parts of occupied Jerusalem, and extended to the occupied West Bank. With 241,000 children back in UNRWA schools to continue their education, UNRWA now has a more accurate picture of the impact of the 50-day war on students and their families. 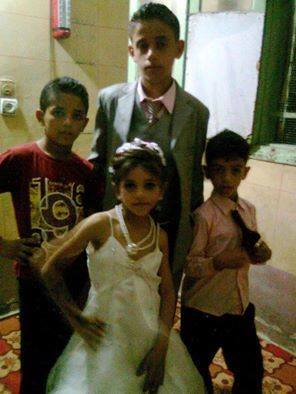 We can confirm that 138 UNRWA students were killed since 8 July. An additional 814 were injured and 560 have become orphans as a result of the recent hostilities. Family life for so many has been devastated. Behind each of these statistics is a heart-breaking, individual story, a dignity and a destiny that must be respected, even in death. Palestinian children are not statistics. UNRWA remains committed to dealing with the psychological scars of the conflict, particularly among children. During the past week, the Agency’s Community Mental Health Programme implemented more training for UNRWA teachers on providing classroom-based psychosocial interventions. The training at schools included stress management skills for teachers, life skills education for elementary students, and structured recreational activities for preparatory students. Meanwhile, UNRWA’s assessment of refugee homes continued over the past week and we have revised upwards our initial assessment of damage. According to estimates based on preliminary information, as many as 80,000 refugee homes were damaged or destroyed during the fifty days of hostilities, a much higher figure than the total number of 60,000 refugees and non-refugees – estimated earlier. We estimate that at least 20,000 of these are uninhabitable. The majority of Gaza’s 110,000 homeless people are children. They are being denied the space which children the world over take for granted, a place where their humanity is nurtured and developed. UNRWA continues to advocate for the rapid rebuilding of Gaza, a lifting of the blockade and the full restoration of rights, including the rights of children. We also continue to call for accountability for violations of international law by all parties. Christopher Gunness | Spokesperson, Director of Advocacy and Strategic Communications. The Palestinian delegation to Cairo's truce talks strongly denounced the Israeli occupation state for assassinating two Palestinian citizens in Al-Khalil city on Tuesday, and accused it of acting in bad faith. "Choosing this time to assassinate citizens Marwan Qawasmi and Amer Abu Aisha reflected Israel's premeditated malicious intents and aggressive attitude against the Palestinian people," the delegation stated in a press release today. Its statement stressed that Israel seeks to evade its international obligations as an occupation entity and to obstruct the efforts aimed at resuming the truce talks in Cairo to end the blockade on Gaza through its persistence in committing crimes against the Palestinian people. The delegation also accused Israel of persisting in flouting appeals by the international community to end its aggression and violations against the Palestinians in all occupied territories and end its inhumane blockade on Gaza. In a related development, the Palestinian delegation to Cairo suspended its indirect truce talks with Israel in protest at its assassination of Qawasmi and Abu Aisha in Al-Khalil. Informed sources told the Palestinian information center (PIC) that members of the delegation returned to their residence in order to consult on the next step they would take to respond to Israel's crime in Al-Khalil. Amer Abu Aisha and Marwan Qawasmi, both Hamas members, were murdered at dawn Tuesday after a large number of Israeli troops encircled the house they were in and clashed with them. Member of Hamas’s political bureau Ezzat al-Resheq strongly condemned the Israeli assassination of the two Palestinian youths Amer Abu Eisha and Marwan al-Qawasmi, saying that it is an Israeli attempt to evade conditions of the ceasefire agreement. 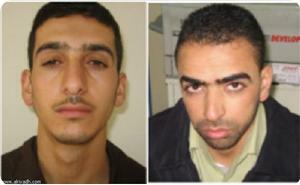 The senior Hamas official stated that the Israeli occupation will pay a heavy price after committing this crime. Hamas Movement mourned in a statement issued on Tuesday the two Palestinian youths who were suspected of kidnapping three Israeli soldiers in al-Khalil a few months ago. Thousands of Hamas supporters and Palestinians in the West Bank marched in al-Khalil funeral procession of the martyrs Abu Eisha and Marwan al-Qawasmi who were murdered in armed clashes with Israeli forces at dawn today. National figures and deputies at Palestinian Legislative Council participated in the funeral amid slogans calling for revenge and supporting resistance. Hamas movement called for mass participation in the funeral of the two martyrs who were responsible for the capturing and killing of three Israeli soldiers on June 12. The movement stressed on armed resistance as the sole option for Palestinian people to restore their land and holy sites. In their turn, Palestinian activists called via social media networks for mass participation in marches throughout the West Bank in response to Israeli crimes most recently was the assassination of Amer Abu Eisha and Marwan al-Qawasmi in al-Khalil. The activists also called on the PA security forces to stop persecuting Palestinian resistance members and to put an end to security coordination with the Israeli occupation forces. Meanwhile, violent clashes erupted in Bab Zawiya in al-Khalil in protest against the assassination of the two Palestinian youths in the city. For its part, Hamas military wing Qassam Brigades vowed to continue resistance against occupation till the liberation of Palestine and holy sites. The brigades mourned the two heroic martyrs who sacrificed their lives in defense of Palestinian people and Arab and Islamic nation, according to the statement. For her part, the martyr Marwan al-Qawasmi’s mother said during an interview with a local radio station that her son had sacrificed his life in the name of Allah. The murder has been claimed a few months after the Israeli occupation army launched the so-called retaliatory “Bring Back our Brothers” campaign, in the wake of which 773 innocent Palestinian civilians were rounded up while dozens of family homes had either been demolished or ransacked under pretext of searching for the potential kidnap suspects. A mass collective punishment has been carried out in the West Bank while a bloody aggression was declared on Gaza Strip, which left 2158 martyrs, following the kidnapping and killing of three Israeli soldiers in al-Khalil. The Israeli occupation forces (IOF) claimed responsibility for the murder of two Palestinian youths suspected of kidnapping three Israeli soldiers in al-Khalil a few months ago, the Israeli radio broadcasted on Tuesday. According to the broadcast, an armed clash flared up in al-Jamia neighborhood, in al-Khalil, between the Israeli occupation troops and special units and the two wanted Palestinian youths, Amer Abu Eisha and Marwan al-Qawasmi. Scores of unarmed Palestinian youngsters were kidnapped in the process under the pretext that they might have partaken in hiding the suspects. A special Israeli military force, escorted by the so-called Yamam unit, had suddenly invaded the place where the two suspects were believed to be hiding, the Israeli Yediot Ahranot newspaper said. 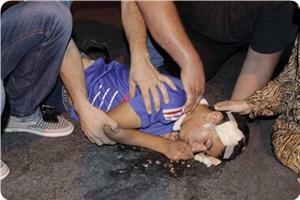 The Shin Bet security apparatus said the two Palestinian youngsters were killed during the gunfight. Sometime earlier, large Israeli occupation patrols overnight targeted a number of Palestinian family homes and shops in al-Jamia residential neighborhood with arbitrary demolitions after having cordoned off the area and unleashed heavy barrages of bullet fire and sound bombs. The invading undercover troops wrapped up the attack by knocking down a home owned by one of al-Qawasmi’s relatives and ransacked others, using a bulldozer and a digger. Random waves of live ammunition and crossfire were unleashed in the process so as to force the civilian inhabitants to evacuate their homes. A number of al-Qawasmi’s family members were rounded up throughout the attack. The Israeli occupation soldiers further raided Palestinian civilian tower apartments and deployed at their rooftops in an attempt to keep tabs on all of the entry and exit doors. At the same time, a drove of Israeli spying drones kept hovering in al-Khalil’s airspace, spreading a state of unparalleled panic among women and children. Another Israeli occupation unit broke into Abu Eisha’s family home in al-Khalil’s al-Sir neighborhood and nabbed a number of unarmed Palestinian youngsters before dragging them to an unidentified destination. The murder has been claimed a few months after the Israeli occupation army launched the so-called retaliatory “Bring Back our Brothers” campaign, in the wake of which 773 innocent Palestinian civilians were rounded up while dozens of family homes have either been demolished or ransacked under pretext of searching for the potential kidnap suspects. Four Palestinian children were killed during the first half of September while dozens were injured and arrested in Gaza Strip and occupied Jerusalem, Palestinian official sources said Tuesday. Palestinian Information Ministry said in a new report that the Israeli occupation forces have escalated attacks against Palestinian children, leaving dozens of them either killed, or detained, or injured. 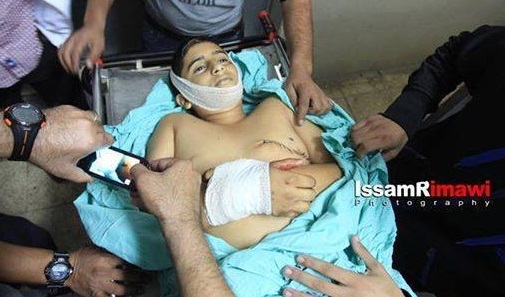 In early September, the child Zeid al-Rifi died from injuries he sustained during Israel’s 51-day aggression on Gaza. The 16-year-old boy Mohamed Sinkat died on September 7 of injuries he received after being shot with a rubber bullet by IOF soldiers during a peaceful march in occupied Jerusalem. The 5-year-old girl Rahef Abu Jamaa and the child Youssef Shalalfa, 11, died of injuries they received during the Israeli offensive on Gaza. In a rare admittance of the use of the so-called 'Hannibal Directive', in which Israeli soldiers kill their fellow soldiers to avoid their capture, an Israeli military officer admitted in an interview with the Israeli daily Yedioth Ahranoth that he ordered a mass bombardment of parts of Rafah during the Israeli invasion, last month, in order to ensure the death of an Israeli soldier who he believed had been captured. The Rafah bombardment lasted for three straight days, from August 1st to 4th, and resulted in at least 114 deaths of civilians, in a bid to kill an Israeli soldier that Winter believed had been captured. It turned out later that the soldiers had never been captured, but had been killed in an engagement with Hamas fighters, on August 1st. The civilians killed in that bombardment included a number of families who were crushed to death when their homes were hit by airstrikes – like the Zo'rob family, who lost five children, including 7-year-old twins Amir and Odai, their 8-year-old brother Khaled, 10-year-old Shahd and 12-year-old Rawan. In his interview with Yedioth Ahranoth, Colonel Ofer Winter called the civilian population in Gaza “a partner of terror” that “gets what they choose”. Journalist Rania Khalek with the Electronic Intifada wrote, “Just as a temporary three-day humanitarian ceasefire negotiated by Egypt and the United States went into effect on the morning of Friday, 1 August, a unit of soldiers from the Israeli army’s Givati Brigade conducted a tunnel incursion in Rafah, provoking fire from Palestinian resistance fighters. “Two Israeli soldiers were killed in the ensuing firefight and another, Hadar Goldin, went missing. 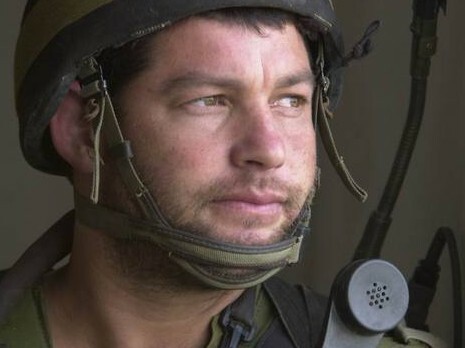 It was later determined that Goldin died in the battle but, in the immediate aftermath, the Israeli army operated under the assumption that he had been captured. “The Hannibal Directive is an unwritten Israeli military protocol for executing captured Israeli soldiers to avoid politically painful prisoner swaps. Although its existence has been reported in the Israeli press since the 1980s, this interview with Winter appears to be the most frank acknowledgement of its use. This is not the first time that Colonel Ofer Winter has sparked controversy from his description of the Israeli assault on Gaza. As the highest-ranking officer of one of the Israeli military's most elite units, Winter has a lot of power and influence. Early on in the Israeli assault, Winter declared the war to be a “holy war”. In a letter to the soldiers under his command, on July 10th, 2014, Winter wrote that the objective of the invasion was to “wipe out” an “enemy who defames” God. 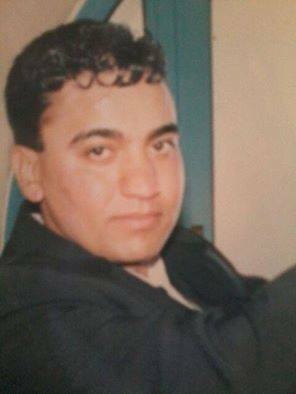 Issa Qaraqe’, head of the Detainees’ Committee at the Palestinian Authority, stated that detainee Raed Abdul-Salaam al-Ja’bari, 37, died after being severely and repeatedly tortured by Israeli interrogators. Qaraqe’ accused Israel of committing two main crimes against al-Ja’bari by alleging he hanged himself in his cell, and by trying to falsify and hide the leading cause of death, which is extreme and brutal torture. Talking at a press conference from the mourning house of al-Ja’bari in the southern West Bank city of Hebron, Qaraqe’ said the autopsy, conducted at the forensic center in Abu Dis, near occupied Jerusalem, concluded that al-Ja’bari was tortured to death. He said the autopsy proved that al-Ja’bari suffered brain hemorrhage, and that his body showed clear signs of torture, adding that Israeli claims which allege that the slain detainee “committed suicide by hanging himself” are false and evident fabrications, especially since his neck does not show any signs of hanging. “The autopsy was supposed to be carried out Wednesday, but it was conducted today at the Abu Kabeer Forensic Center, while Dr. Saber al-‘Aloul, head of the Institute of Forensic Medicine, attended the autopsy but Israel prevented him from making any statements," Qaraqe’ said. “After we received the body of al-Ja’bari, we moved him to the Forensic Center in Abu Dis. All reports clearly show al-Ja’bari was tortured to death; he was brutally and savagely tortured by the Israeli interrogators," he added. “The main cause of death is repeated blows to the head and face, leading to hemorrhage, eventually resulting in his death. Raed Abdul-Salam al-Ja’bari died on September 9, 2014. He worked as a car mechanic technician; he is a married father of five children. He was first kidnapped and arrested by Israeli soldiers on July 26, 2014, after a traffic accident Israel alleged that, during which, he intentionally rammed a settler. An Israeli court ordered his release, on an 8000 NIS bail, but the Israeli prosecution filed an appeal, keeping al-Ja’bari held at Ofer prison. On September 3, he was moved to the Eshil Israeli prison, and was placed into solitary confinement. He was then moved to the Soroka Medical Center where he died, on Tuesday.